Douglasville, Georgia – The Cultural Arts Council of Douglasville/ Douglas County (CAC) launched a new initiative to use public art to further establish the community as a dynamic center of creativity and a destination for visitors. The first public art piece was unveiled as a public art bench that now resides in front of the arts center building and was inspired by the CAC’s Butterfly Garden. The CAC is excited to release its next project “Fire up the Arts”. The Cultural Arts Council of Douglasville/ Douglas County in partnership with the Douglasville/ Douglas County Water & Sewer Authority and the Douglas County Fire Department is gearing up their Public Art Initiative with (8) eight fire hydrants in downtown Douglasville which will be turned into creative art pieces, along with being functional and lifesaving. 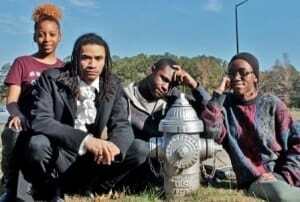 High school art students from across the county were invited to submit designs for hydrants. They used their imagination around the theme, “Nature Inspired”. The theme could revolve around seasons, water, climate, plants, water resources, landscapes, animals, etc. The CAC gallery committee reviewed the designs and selected the top 8 pieces. “We have so many talented students in Douglas County and we are excited to be able to show off their abilities through our Public Art Initiative”, stated CAC Executive Director, Emily Lightner. 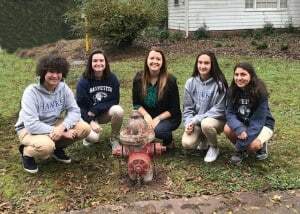 Congratulations to the top (8) eight winners for the “Fire up the Arts” Hydrant Project from Harvester Christian Academy and New Manchester High School. The winners will begin painting selected hydrants at the end of November and thru December. The Cultural Arts Council will provide all of the necessary supplies for them to create their masterpieces. Douglasville/ Douglas County Water & Sewer Authority Executive Director Gil Shearouse stated, “We are pleased to be a partner in ‘Arts on Fire’ and are looking forward to the project not just as a public art initiative but also as a way to draw attention to the vital water and fire resources that keep Douglas County safe and sound.” The purpose of public art is not only to enrich the community and improve our quality of life through its ability to enrich an environment but also to ignite the imagination, encourage thought and to prompt discourse. Public art benefits the community through placemaking, bringing people together, and can be used as a tool in economic development. Public art can also strengthen personal connections to one’s community. The Cultural Arts Council Douglasville/ Douglas County, located at 8652 Campbellton Street in historic downtown Douglasville, Georgia, is open Mondays through Fridays, 9 am to 5 pm. For directions or more information visit www.artsdouglas.org or contact the Cultural Arts Council at 770-949-2787. The mission of the Cultural Arts Council of Douglasville/Douglas County is to nurture, guide and stimulate the enjoyment of and participation in the arts among Douglas County residents by providing an atmosphere conducive to the arts. The programs and activities of the Cultural Arts Council are supported in part by the City of Douglasville and the Douglas County Board of Commissioners.